Shocking video footage of an Auckland shopkeeper desperately trying to fend off a violent robbery is the latest incident in a spate of brutal attacks. 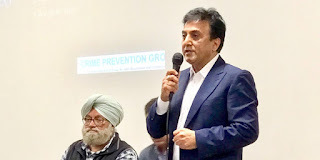 The violence has grown to such a level that a petition will be submitted to Parliament calling for a review of the effectiveness of current police policies and strategy, Stop Crime NZ crime prevention group founder Sunny Kaushal told the Herald. Video of Wednesday night's Otahuhu liquor shop robbery shows three men enter the store about 7.45pm. One of the offenders jumps across the counter and begins to attack the shopkeeper with a pole. After the offender drops the pole, the shopkeeper uses it in an attempt to ward off his attackers. However, the offender returns and wrestles the shopkeeper to the ground before repeatedly punching him. A police spokeswoman said there had been no arrests following the robbery, but police are continuing to investigate. 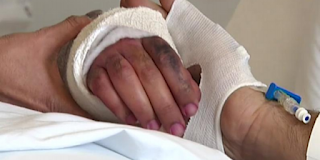 Kaushal said the shopkeeper was lucky to suffer only minor injuries, but said the violent upswing in robberies has forced shop owners to call for a government review. Last night, a second Stop Crime NZ meeting was held, following an initial meeting after a brutal robbery at a Mt Roskill dairy last week. "Our concern is the continuing robberies and brutal attacks on shop owners and small businesses in public places," Kaushal said. "Our concern is the safety of residents, which is a fundamental right. Our concern is, the law-and-order situation appears out of control." He said six shops in Auckland have been robbed during the past 10 days, including the Crown Superette in Mt Roskill where a group of seven offenders attacked and seriously injured the dairy owner and his wife. The dairy owner is still in hospital with a badly damaged arm and has already undergone four surgeries, Kaushal said. Police charged two teenage girls, aged 13 and 14, with aggravated robbery following the incident. Small business owners said "we constantly live in fear" while giving feedback at last night's meeting. "Brutal Attacks in broad daylight in public places, shows the offenders have no fear of being caught," Kaushal added. Along with the petition, a community protest march is being planned for next month.